If you're like me, you don't want to spend an hour in the morning getting dolled up for the office. I'd rather spend an extra thirty minutes sleeping than doing an elaborate makeup look. On my corporate days, I like to keep my eye makeup simple and easy. But I also like it to LOOK LIKE I spent ample time getting ready for the day. This has been my go-to look lately, and all it takes is 4 eyeshadow shades, eyeliner and mascara. In all honesty, this eye look probably takes me 3 minutes tops. 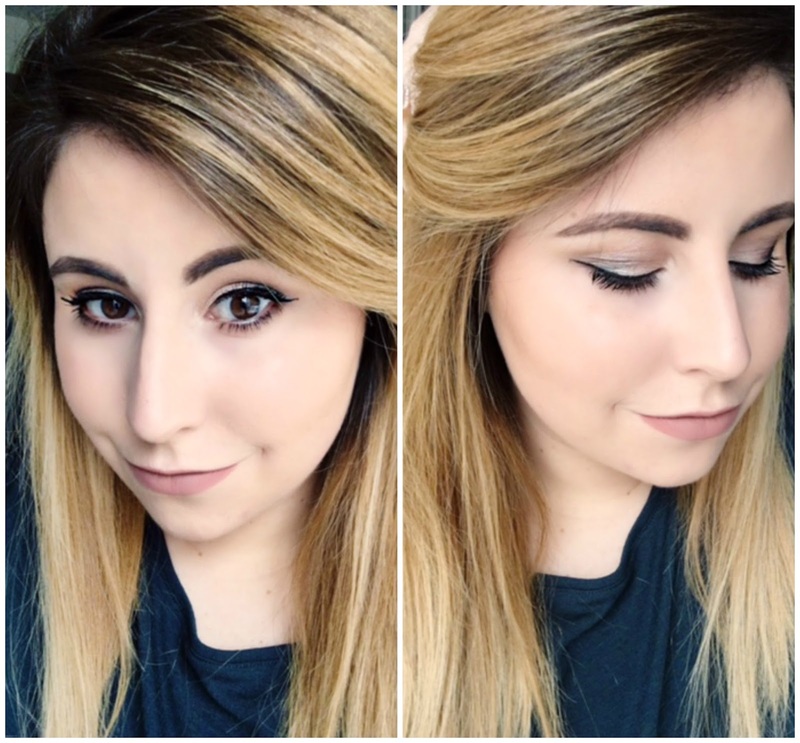 No frilly cut-crease or glitter liner here. 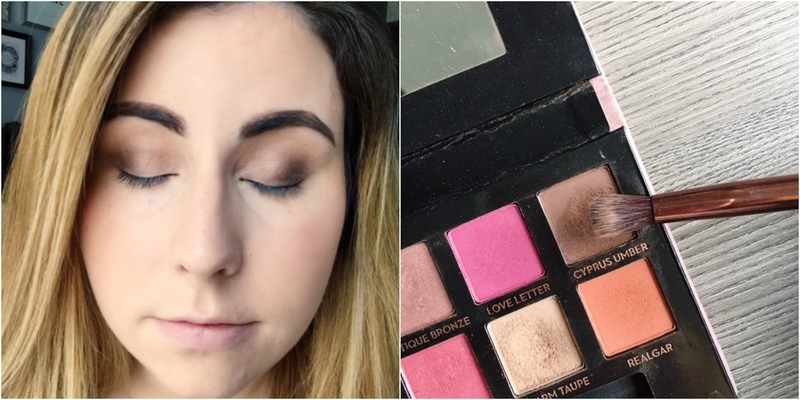 Just easy, soft glam that brings light and dimension to the eyes. First, I take Tempera from the ABH palette on a shader brush and set the concealer on my eyelids. I use concealer to cancel out any discoloration or veining on my lids instead of primer. Why buy an extra product when your concealer can get the job done? I'll typically take this shade all the way up to my brow bone. If you don't have this palette, you can use any matte or satin shade that is close to your skin color. Next, I take Warm Taupe from the palette on a large fluffy crease brush to slightly carve out my lids. Don't worry if this looks a little messy, just keep blending until you have that nice wash of color between your lids and brow bone. 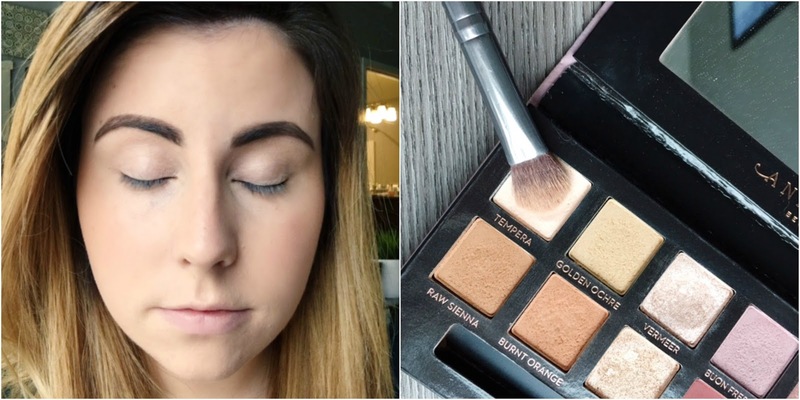 If you don't have this palette, you can use any warm light brown shade from your collection. Next I'll take a smaller crease brush and dip it into Cyprus Umber, a deeper brown shade. I pop this onto the outer part of my eyelid and blend only on the outer third. You don't want to take this color too high or too far into the lid or it will darken the look (and we're going for an easy, light look here). I'll also take some of Cyprus Umber and on my lower lashline and blend it out with Warm Taupe to keep the look balanced. If you don't have this palette, you can use any warm dark brown eyeshadow. You could just top this look off with some mascara and head out the door, but on days when I want to look a little more put together, I add Vermeer or Primavera to the inner third of my eyelid. 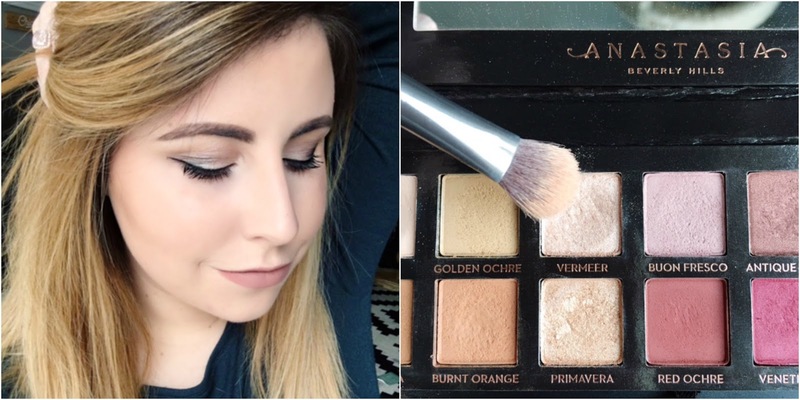 You can use any shimmery shade from your makeup collection. These shimmer shades bring extra light to your eyes on days when you haven't had enough caffeine. I'll finish this look with thin winged eyeliner and some mascara and I'm good to go. That's all it takes! I'm by no means a pro makeup artist, so if I can do this, anybody can. 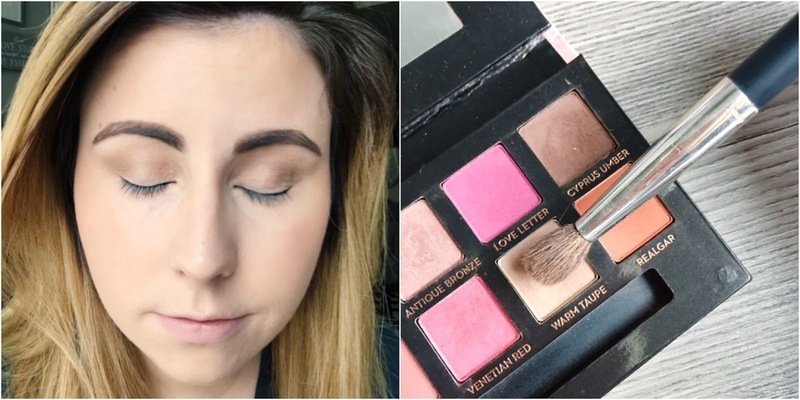 If you enjoy this type of quick and easy makeup tutorial, let me know in the comments below!